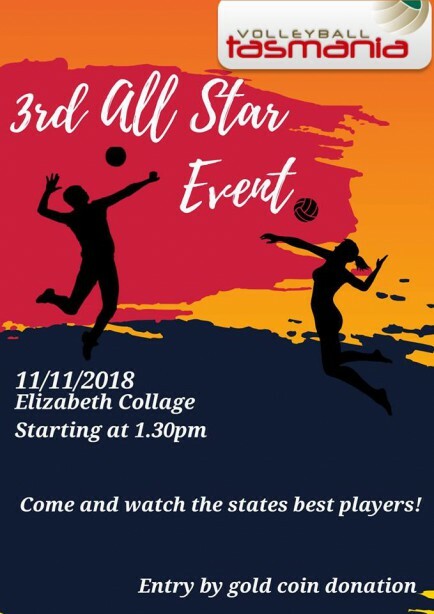 The 2018 Spring all-star match will take place on Sunday 11 November 2018, at Elizabeth College, Hobart. Participants will be chosen from recent MVP votes and club nominations. Come along from 1:00pm (men's match starts 1:30pm, followed by women's) and see our best and brightest in what promises to be another classic encounter! Gold coin donation at the door. We're also in need of officials, so if you're not playing and would like to referee or call a line, get in touch with us via your club ASAP. Thanks!